In a large bowl, beat cream cheese and icing sugar until smooth. Add in pumpkin, sour cream, cinnamon, pumpkin pie spice, and ginger. Mix well. 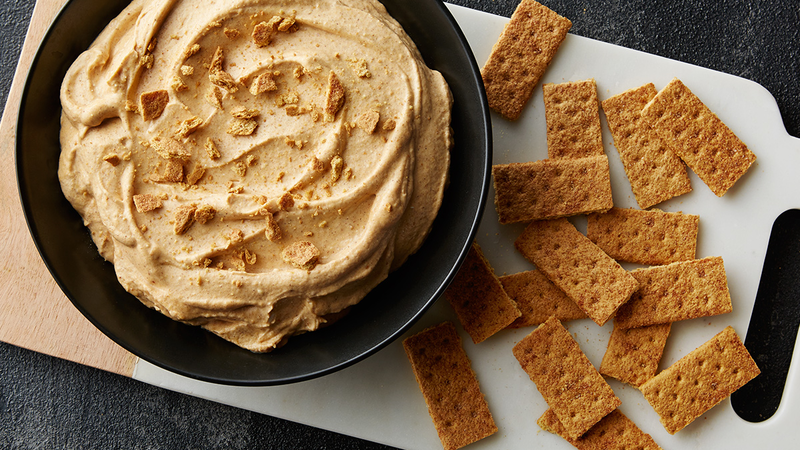 Serve with green apples, graham cracker sticks, or gingersnaps.